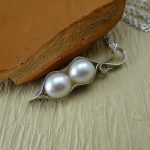 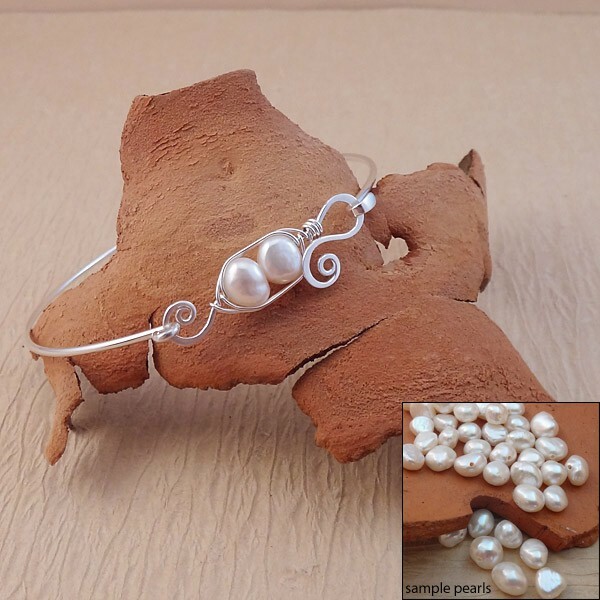 This two peas in a pod bracelet is artisan made using solid sterling silver and two amazing white free form baroque freshwater pearls. 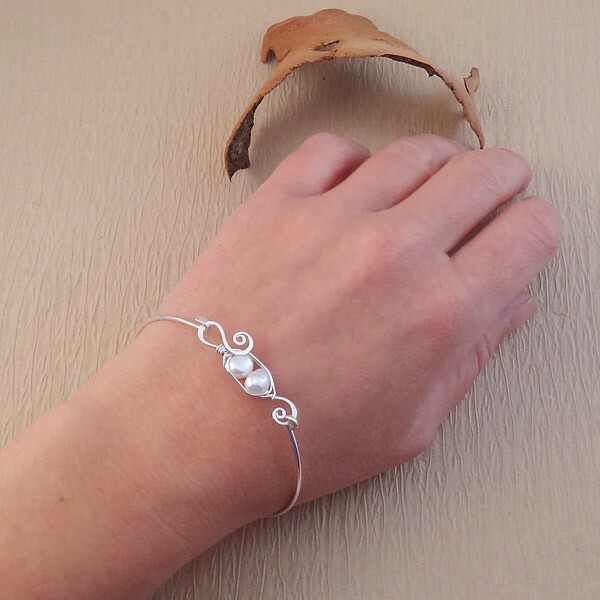 My Favorite part about this bracelet is that it features a hook closure that makes this bangle easy to put on and take off. 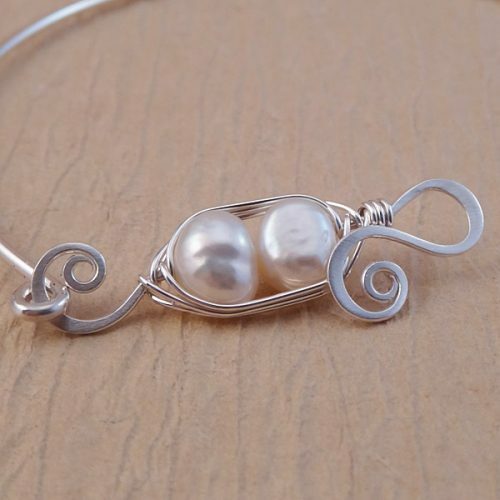 No worries about trying to slip it over your knuckles. 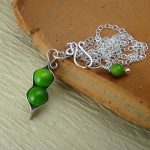 The pea pod measures just over 1 1/4 inches (34mm). 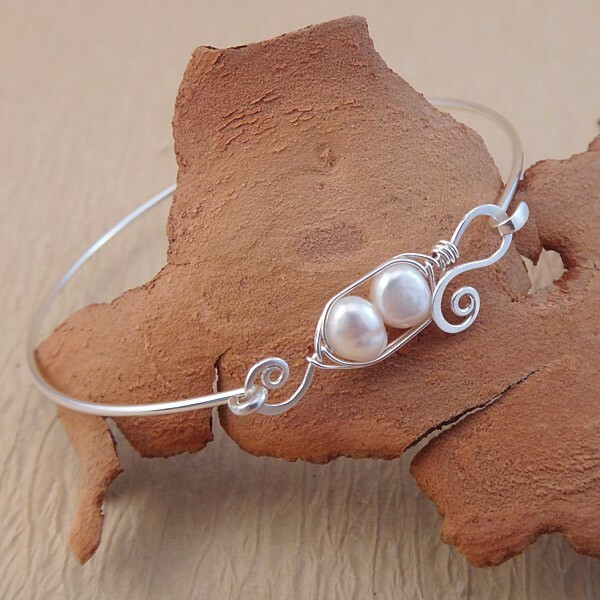 The bangle is a sturdy 1.6mm thick. 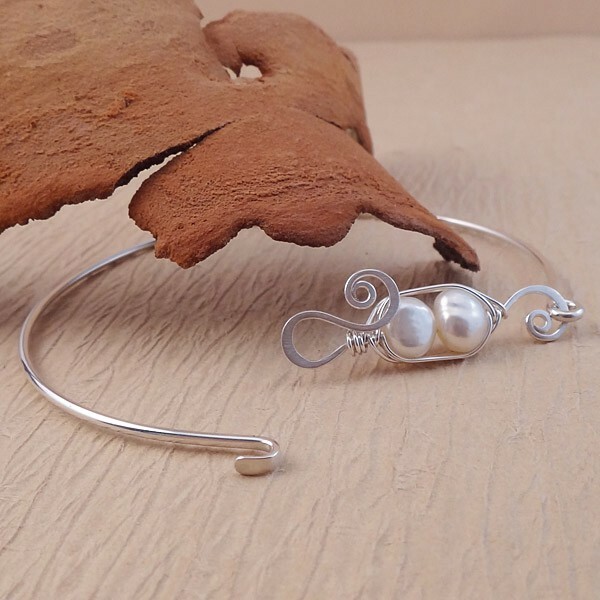 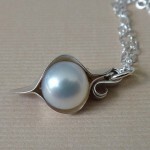 These baroque freshwater pearls are unique in every way, no two are alike, shape and texture may vary, making each and every piece one of a kind, just like you and me. 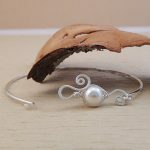 Each peapod bracelet is lovingly and individually handcrafted, with great care taken to the smallest detail.